Mexican authorities are cracking down on smaller groups of migrants trying to catch up with the main caravan. On Friday they detained a group of about 300 migrants who crossed the Guatemala-Mexico border at Ciudad Hidalgo and were walking along a highway to the city of Tapachula. 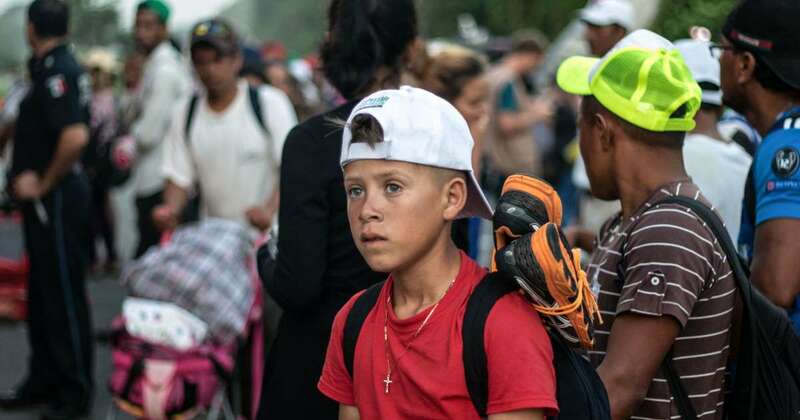 The main caravan of about 4,000 migrants left Tapachula on Monday and is now heading to Arriaga in the state of Chiapas. An official from Mexico's National Immigration Institute who was not authorized to be quoted by name said the group of 300 included Hondurans and Guatemalans who were detained because they entered the country without proper documents. The migrants will be bussed to immigration processing centers for possible repatriation. While migrants enter Mexico illegally almost every day, they usually take smugglers' trucks or buses or walk at night to avoid detection. The fact that the group was traveling openly in daylight suggests they were adopting the tactics of the caravan, which is large enough to move without much fear of detention. However, it appears that smaller groups will now be picked off by immigration authorities.